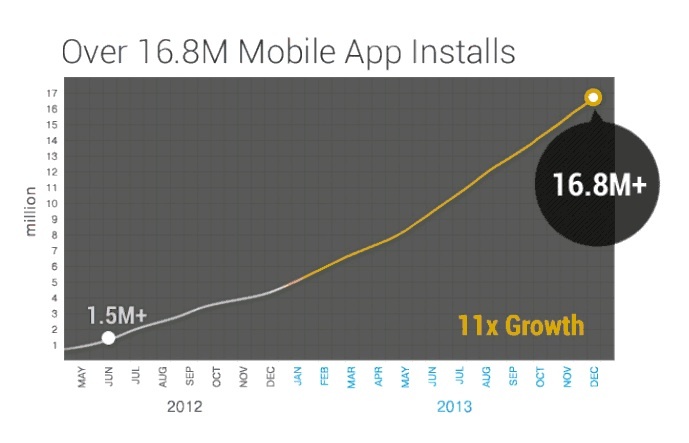 Mobile is where it’s at for the global TV streaming site Viki: The company’s just-released 2013 mobile report shows that its mobile app install base shot up from around 1.5 million 18 months ago to close to 17 million by the end of 2013. 65 percent of the service’s 26 million monthly viewers are now on mobile devices, according to Viki. What’s interesting about this growth is that it has been fueled by Android in particular: By the end of 2013, 70 percent of Viki’s mobile viewers were on Android phones and tablets, while 27 percent were using iOS devices and three percent were on other platforms. 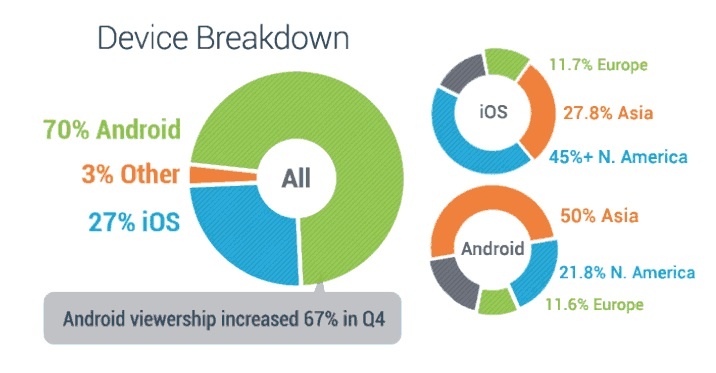 In Q4 alone, Viki saw its Android viewership increase by 67 percent, in part fueled by its growth in Asia. Viki is one of a handful of services that has specialized in content arbitrage: The company cheaply licenses TV shows in countries like Japan, Korea or even Turkey, and then brings it to TV fans outside of their home market. 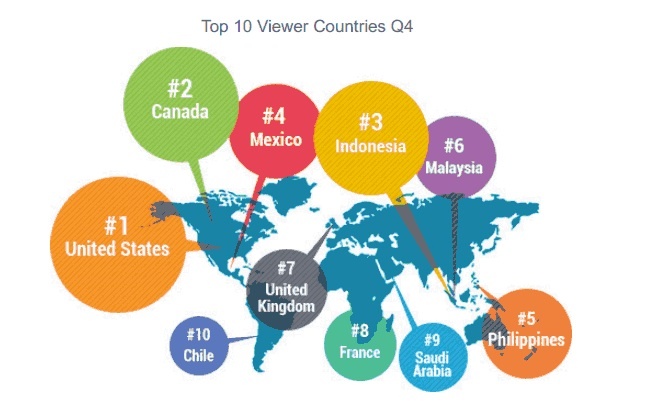 As such, Viki’s audience is by nature very international: Most of the site’s viewers came from the U.S. in 2013, and Canada was the second-biggest market, but third in line was Indonesia, followed by Mexico and the Philippines. This wide global reach is in large part due to Viki’s reliance on community translators who subtitle videos in their own native languages. Altogether, Viki’s captioning volunteers have translated more than 400 million words, according to data provided by the company. Japan’s Rakuten bought Viki for a reported $200 million last September. The days of not worrying about what your website looks like on a mobile device are gone, people need to remember this!! all too often are we still seeing terrible designs that don’t fit into the framework for a mobile.